Add a full color flexible vinyl key tag to your participant gift bag for more brand exposure, or hand out at tradeshows to encourage more traffic at your booth. Price includes a full color imprint on one side. Though the imprint on these key rings is very durable, image may wear with heavy use after time. Full bleeds and border printing is available on one side only. Exact color match is not possible with full color printing. Great deal! Great quality and service!! Fantastic company. 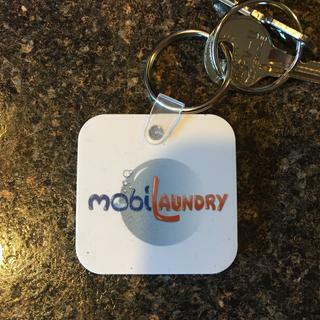 The keychains are used in our commercial laundry business and they are perfect. Fast service. Friendly staff. I totally recommend!